X-MEN Classics Rogue. 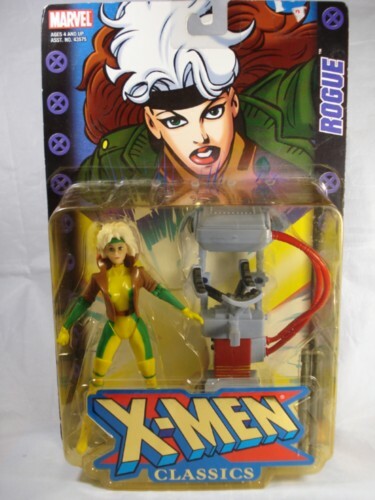 Rogue is from the 2000 Toy Biz Line and Includes Missle Launching Back Pack. This is the BEST rogue in 5 inch scale made by the great Toy Biz, she is long out of production and very hard to find. Bubble shows some yellowing, check the pictures, they belong to the ACTUAL product being sold. Shipping is FREE in the Usa . caaaan't waaaait for this oneee!